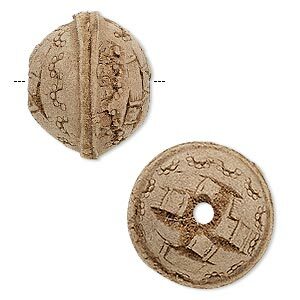 Bead, leather, brown, 20-24mm round with etched weave design. Sold individually. Item Number: H20-A1181NB Have a question about this item? 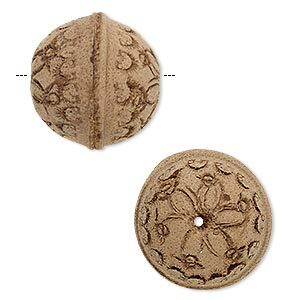 Bead, leather, brown, 20-24mm round with etched flower design. Sold individually. 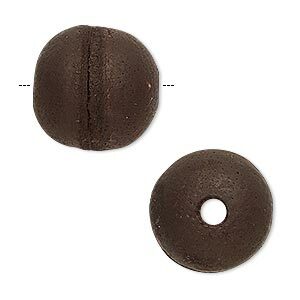 Bead, leather, dark brown, 20-24mm round. Sold individually. 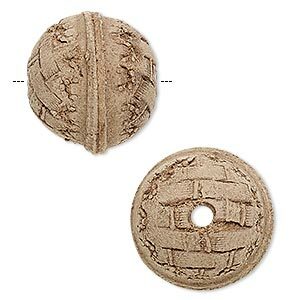 Bead, leather, brown, 13-17mm round with etched weave design. Sold individually. 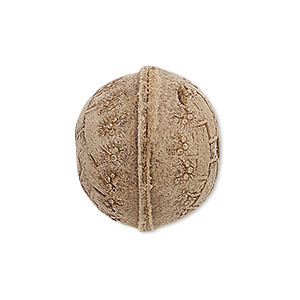 Bead, leather, brown, 16.5-20.5mm round with etched weave design. Sold individually. 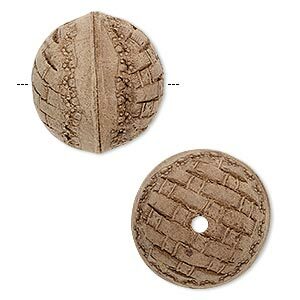 Bead, leather, brown, 23-27mm round with etched weave design. Sold individually. 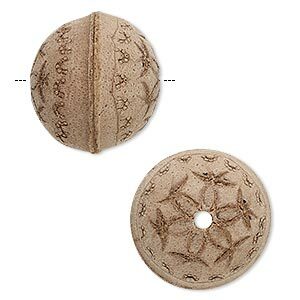 Bead, leather, brown, 16.5-20.5mm round with etched flower design. Sold individually. 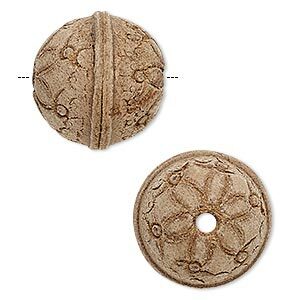 Bead, leather, brown, 23-27mm round with etched flower design. Sold individually. 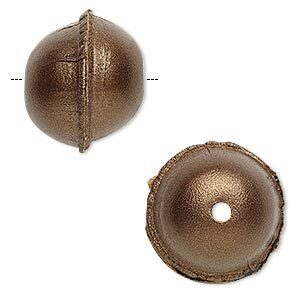 Bead, leather, bronze, 20-24mm smooth round. Sold individually. Bead, leather, dark brown, 13-17mm round. Sold individually. Minimum 2 per order. 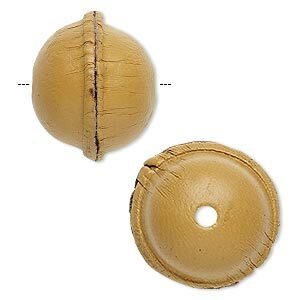 Bead, leather, natural, 20-24mm smooth round. Sold individually.